People who choose to buy a car like a Maserati are always very proud of their purchase. This ensures that any form of damage must be resolved as quickly as possible. Despite the fact that Maserati are extremely high quality cars, there can of course always be certain damage. What kind of damage to the windscreen caused by rubble, for example? Such damage is not only bad for the look and feel of your car, it also brings with it the necessary dangers. Are you also faced with windscreen damage and are you looking for interesting possibilities in windscreen replacement for your Maserati? Then don't look any further and discover in this article what Autoglas Concurrent can do for you!
. She appeared in the year 1926. Meanwhile, Maserati has grown into one of the most luxurious car brands on this planet. The most popular version of the brand is undoubtedly the Ghibli, whose third version was launched in 2013. How does damage to the windscreen of your Maserati occur? The windscreen replacement of a Maserati is always a good idea in case of damage. This is because a damaged windscreen invariably poses a risk not only for the occupants, but also for the other people involved in traffic. How, however, is such damage caused? Very simple. Damage to the windscreen of your car can occur in various ways. This is possible, for example, because of an accident, but also because of vandalism or even simply because of rubble. Damage caused to your Maserati windscreen by rubble will almost always manifest itself in the form of an asterisk or a crack. At first sight, this window damage may appear to be relatively innocent, but it can still pose a considerable risk.The windscreen replacement of the Maserati is always recommended for the above reasons. However, it is not an obligation, contrary to what some of our competitors would like to make you believe. In principle, there is only one exception in this respect. The asterisk or crack can also be found in the driver's field of view and the result may be a disapproval for the APK. Such a rejection of course will have some very unpleasant consequences, which means that replacing your Maserati windscreen in time is always a good idea. Are you afraid that you will have to take into account a very high price tag in this area? Then we would like to convince you of the opposite! Choose a financially interesting after-market car window! 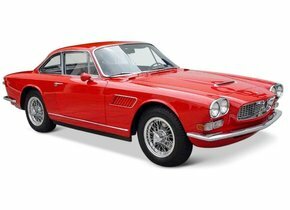 The high price that is often charged for a windscreen replacement of a Maserati comes further from the fact that an original car window is used. Such a car window is so expensive because it has a brand logo. The presence of such a logo therefore ensures that it can initially only be sold by an authorised dealer. This does not apply to after-market car windows. The windscreen replacement of a Maserati with such a car window is therefore financially much more interesting and, moreover, without the need to surrender in terms of quality. Both original and after-market car windows are produced in the same factory and form part of the same production line. This ensures that there is no difference in quality between the two in any way whatsoever. Indeed, the after-market automotive glass of Autoglas Concurrent is produced according to the strictest European quality standards. 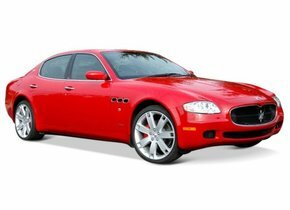 As far as the windscreen replacement of your Maserati is concerned, you will always choose to call on a truly reliable party who can also work as efficiently as possible. Autoglas Concurrent wants to be able to provide its customers with the best possible price-quality ratio when it comes to windscreen replacement of the Maserati at all times and across the entire line. 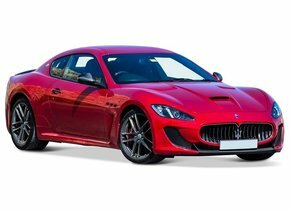 This not only ensures that we can offer a new Maserati windscreen at a very competitive price, but also that the actual replacement of the windscreen is carried out with the highest possible care. In order to achieve this, we call on our certified partners. A windscreen replacement of your Maserati is in good hands in this way and you can also quickly return to the road. Also replace your Maserati windscreen? Do not look any further and choose to appeal to the possibilities of Autoglas Concurrent!